For many old souls, living in a cottage by the woods near the lake is the ultimate old-fashioned childhood dream. What’s not to love about cottage life? A cozy country cottage with old-house vintage charm -- wood-plank floors, refreshing old-fangled kitchen with oak beams, a flower garden, a vegetable patch and a dazzling lake view. Imagine log fires, idyllic breakfasts and romantic dinners. Long walks by the beach or by the lake. Horse-back riding by the beautiful countryside. Secret verdant gardens and really awesome walking trails right outside your cottage’s garden gate. These are just some of the perks of living in a cottage. 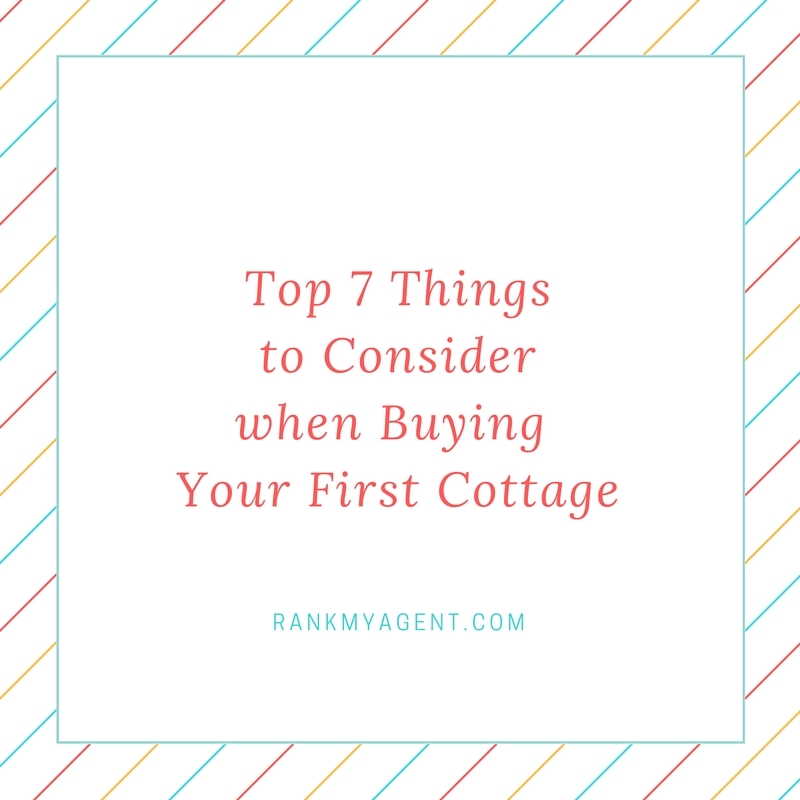 If cottage life is your definitive dream, take note of the following important things you need to consider when starting out your search in buying a cottage. If you’re buying a cottage by the sea or by the lake, make sure you take a good look at the historical background of the property. Find out how fast the soil is eroding and how much land has worn down in current years. If you really want to buy a cottage near the shore, make sure the cottage is nearer the inland for safety reasons. Do you want to live near a crowded lake? Do you want your neighbors to live close by? Do you want to live in a private cottage community with just a few neighbors? 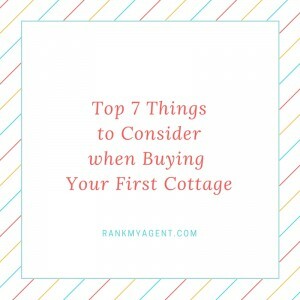 These are crucial questions you need to answer when you’re considering buying your first cottage. Find a cottage that is accessible through land and water. Consider the road access during the different seasons. You might need more than just a boat to get there or a four-wheel drive vehicle at some periods of the year. Check out if the roads are well-maintained all year round. Consider the travel time as well. What is your limit? Consider the surroundings of the cottage that you’re intending to buy. Is the view beautiful? Is it in a higher plain for a better view? If yes, would you mind the climbing? Does it have a stunning sunset view? A property with a sunrise view is more often cheaper compared to the property with the afternoon sunset view. If the cottage is by the side of the lake, check out the size of the lake. Is it a large one where you can go boating and do other water activities like fishing? What kind of shoreline does your waterfront have? Is it a sandy shoreline? Is it deep enough to dive or dock your boat? Is the surrounding area a woodland area? Does it have a faster way in the beach? Does the cottage have drilled well for its water system? Is there hydro available? What about the means for cooking and heating system? Make sure a professional inspector checks out and reviews the systems of the cottage. If the place is cold, like in other areas where it gets rainy and foggy even during summer, make sure your cottage is insulated. Look into possible installation of a fireplace or stoves to keep you warm and toasty in case the temperature drops. Find out restrictions regarding building a new dock in your shorelines. Find a local real estate agent who knows a good deal about the cottage and its property. The local real estate professional will lead you to a local lawyer who is well-versed about the pertinent information you need – like information sources, local tourist associations, cottage life associations, lake associations, local legislations, official plans and many more. Before buying the cottage of your dreams, it’s important to put into consideration the aforementioned things. Make sure you weigh all your options and you have chosen what kind of cottage living that will best fit your personal preferences. Would you like cottage living by the water? Or would you prefer cottage living by the woods or lake? Do you want a lot of neighbours? Or do you prefer to be isolated? Each cottage living offers a unique experience. Decide on what you really want before you pick out a spot. Remember, these things are dependent on your personal choices, preferences and inclinations.